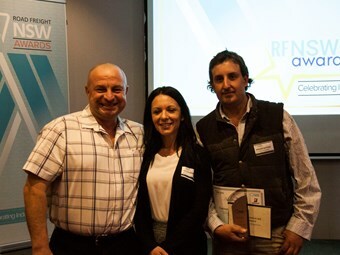 RFNSW hosts the awards to showcasethe hard work, road safety, innovation and expertise of members across NSW. O’Hara congratulates the winners, for the role they all play in advancing the road transport industry and improving trucking for all. "Congratulations to all of our Winners for the valuable contributions they’ve made to our industry over the past 12 months. "RFNSW would like to commend them all for the dedication, commitment and integrity they have shown in helping raise the awareness and appreciation of what our drivers do out on the roads each and every day. "It’s fitting that we can formally recognise them all, as they showcase all that’s good in our industry. "It’s fitting that we can formally recognise them all, as they showcase all that’s good in our industry." The RFNSW2018 conference covered a range of pressing industry topics, including the latest on the 1 October CoR changes and the announcement of a national roadside database.